42 children have died in the last 48 hours at the hospital, of which seven deaths were due to Encephalitis, P.K. Singh, the principal of Baba Raghav Das (B.R.D.) 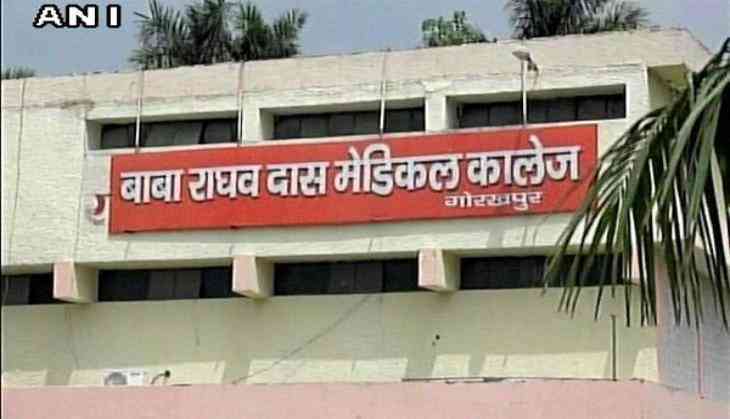 Medical College, Gorakhpur said on Wednesday. "Of the 42 deaths, barely seven are due to Encephalitis, while the rest are due to other pediatric diseases," Singh told ANI. "16 deaths have occurred in the Neonatal Intensive Care Unit (NICU), and 26 in the Pediatric Intensive Care Unit (PICU)," he added. Singh also reasoned, "There are many children who are coming to us in an extremely critical condition, and are barely surviving for half to one hour." The total number of in-ward patients at the hospital varies from 342 to 350 per day, and the exact number on Wednesday, as told by the Principal, was 344. He also said that the hospital is dedicatedly doing their duty, adding that he is hopeful that the numbers will go down. Earlier in August, over 70 children had died in the same hospital due to lack of oxygen supply. The hospital, as well as the government, had received flak over the negligence. On August 23, a FIR was registered against nine persons including the suspended principal of B.R.D. Medical college, Dr. Rajiv Mishra and two officials from the oxygen supplying agency the Pushpa Sales Private Limited.